Swedish political scientist: Which countries best predict the Eurovision winner? The land of Ikea and princess cakes has been up in celebration over Mans Zelmerlow’s victory, and even some prominent academics are getting in the discussion. As Svenska Dagbladet reports, Anders Sundell, a political scientist professor from the University of Gothenburg, has spent a considerable amount of time analyzing which countries predict the winner, give Sweden the most points, and give Sweden the least points. 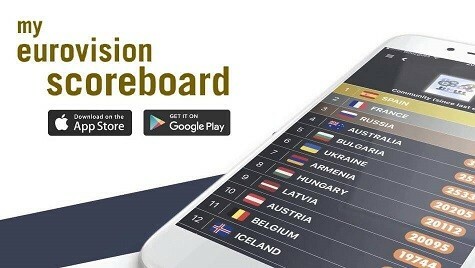 According to his calculations, Belgium, the United Kingdom, Ireland, and Finland are all the best predictors of the winner of any given contest. The countries most generous towards Sweden are Denmark and Norway, and then three outside the Nordics — the Netherlands, Ireland, and Austria. I guess Sweden’s music truly builds bridges (at least in western Europe). Perhaps the most amusing assertion is that corrupt countries have a tendency to not vote for Sweden. Even though Sundell does not assert that there is a correlation between a level of corruption and voting for Sweden, he notes that “countries with widespread corruption tend to buddy vote”, or as we know it: (Eastern) Bloc voting. But even Italy (which has had its problems with corruption in the past) gave its first points to Sweden this year. We’ve already speculated on which countries best predict Eurovision winners, and the existence of bloc voting is not questioned (why are there pots for semi-final allocation, anyhow? ), yet it’s always amusing to hear it in an academic context. What is truly unique, however, is this correlation (but not necessarily causation) between a level of corruption and an affinity to give Sweden points during Eurovision. While most of the least corrupt countries in the world are Scandinavian (and the more corrupt ones in Europe tend to come from Eastern Europe), the existence of corruption does not necessarily mean a lack of affinity for Sweden. Still, it’s a cute take on something almost so innate to our love of the Eurovision Song Contest. Are you surprised by Mr. Sundell’s findings? What is to blame for this corruption-points correlation? Let us know below! Who should win the Barbara Dex Award 2015? Foxx, you don’t have to explain me anything I know that it was not fair.., but I also know (check the voting of dutch and belgian juries) that they now deliberately put Armenia somewhere below, just to be sure they get a 0. Is that fair? So the jury and its amount of influence is not the right solution. Not at all. Since is a university lector of political science and his expertise is in corruption and nepotism I would like to know how he can describe an system where the winner is elected by 50% people vote and 50% by 30 something number of 5 persons panels that are required to vote on a set of strict criteria and the one who sets the criteria has them both on pay roll (has created a network that gives them revenues) and can remove them for not voting right. Darren, it would all make sense if your entries were chosen by people (like in Sweden) not by some dull as*.., well, whoever been choosing it for the last ‘successful’ years. Seriously, i have no idea where this article is going… Block voting doesn’t only happen if you’re eastern. Erin :- Usually if there is a bad smell, something is causing that bad smell. Just because a country is most or least “corrupt” according to the CPI does not mean they are corrupt or not corrupt in the ESC???? So….Ireland and the United Kingdom are best at predicting what wins Eurovision, so we know what makes a good song, yet we can never place high, or even win? Makes sense I guess. Let me just LOL couple of minutes. “He notes that “countries with widespread corruption tend to buddy vote”.” And then I’ll just take a look of the points awarded in their own Scandinavian garden between each other (Denmark, Norway, Sweden, Iceland, Finland, Estonia, Latvia, Lithuania…) and then I’ll just LOL more. For God’s sake, Sweden don’t be so arrogant! I’m not surprised that Belgium is one of the best predictors. If I remember correctly, this year we gave 8 to Italy, 10 to Russia, and 12 to Sweden, that top 3 sound familiar? Especially since the return of the juries, Belgium always gives its top points to the eventual winner and second/third best. With only televoting, this was véry different, remember just a couple of years ago, when Belgium’s top points always went to Turkey or Armenia, which indeed, wasn’t fair. Thank god for juries! Deven year I agree. The song wasn’t my fav but from the start I said the positive of sweden winning and the uk doing rubbish would be that the uk will start do follow what sweden is doing. Well I hope so anyway. Interesting. I’m just wondering if the growing amount Swedish composers and producers in the contest could also influence the vote. I’m talking specifically about the jury and the “networking” between them and the music industry in the countries that take part in the contest. there were more better songs in my opnion because this won because c’mon its Sweden-i didnt wanted this year eurovision on Sweden because we were just there back in 2013 and Italy,Russia,Latvia,Serbia,Albania(not the live) or even Montenegro were much much good songs.Sweden should thanks the jury for the win not the ordinary people. A fecha de hoy 27 de Mayo 2015.PREDIGO que AZERBAIYAN ganara ESC el 14 de MAYO del 2016 en algun lugar de Suecia. Yeah cos everyone should give points to Sweden !!!! Me queda claro lellendo este articulo,que entonces empazamos a asumir que en ESC hay corrupcion. Look who’s talking about bloc voting.. Lol. Funny, though. The sweden’s music that builds bridges across the Europe is another funny thing)) True, they have (with the help of EBU’s Swedish mafia) established a lovely platform to sell their songs around for countries such Azerbaijan -the champion.